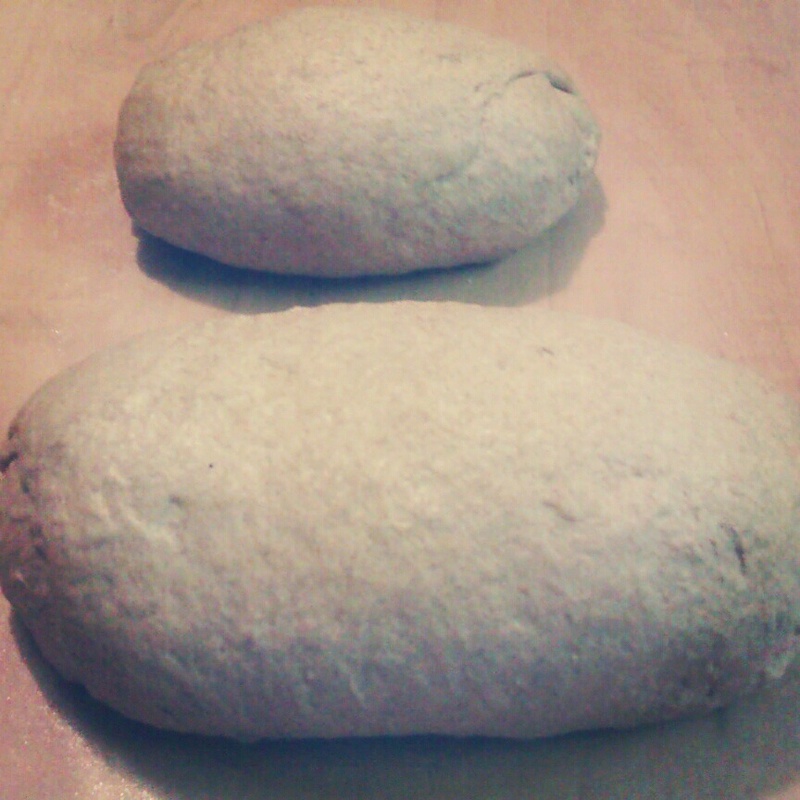 Being a Baker’s daughter I figured it was about time I made some Homemade bread. I do not have a bread machine or maker. I use my hands, which are the best equipment in my grandmother’s eyes. 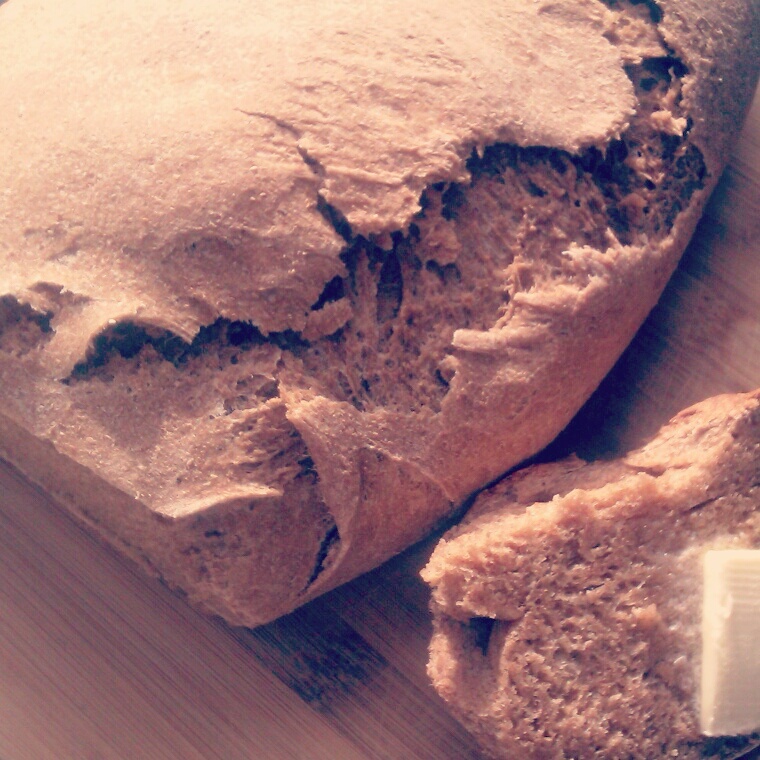 Anyway making bread at home does require patience and time, but it does payoff. It’s affordable, healthy and makes your house just smell do good. The process takes a couple of hours so make sure you have that time before you start. 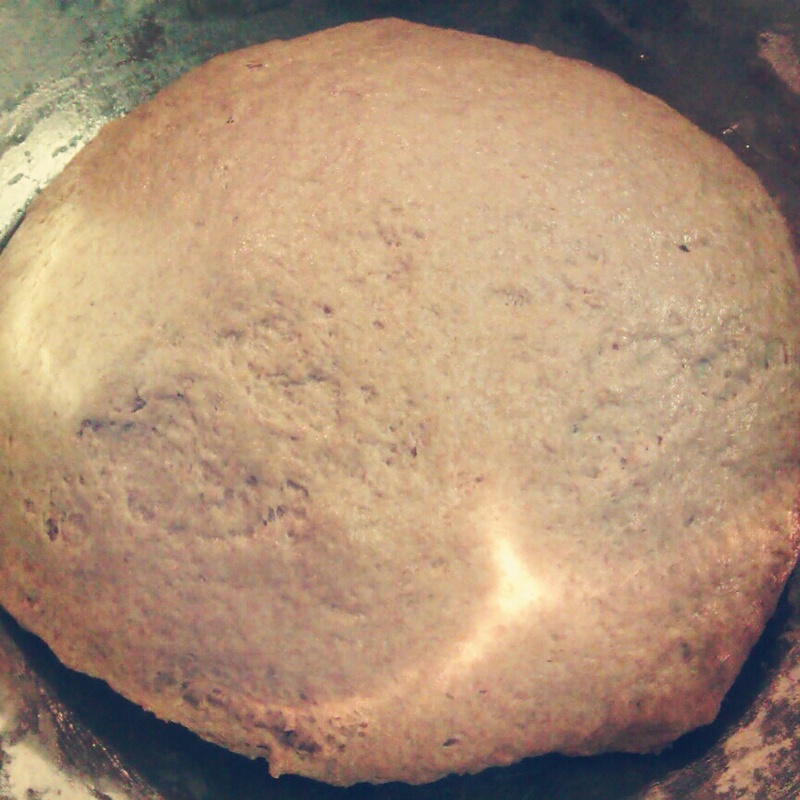 I realized when I started to make this that I didn’t have my bread loaf pan; so I panicked and called my dad in Brazil. He said no worries you will be fine. Just put it on a baking sheet. You can make it as long as you want by rolling it out. If you have a bread loaf pan and you want it more uniform, use it. 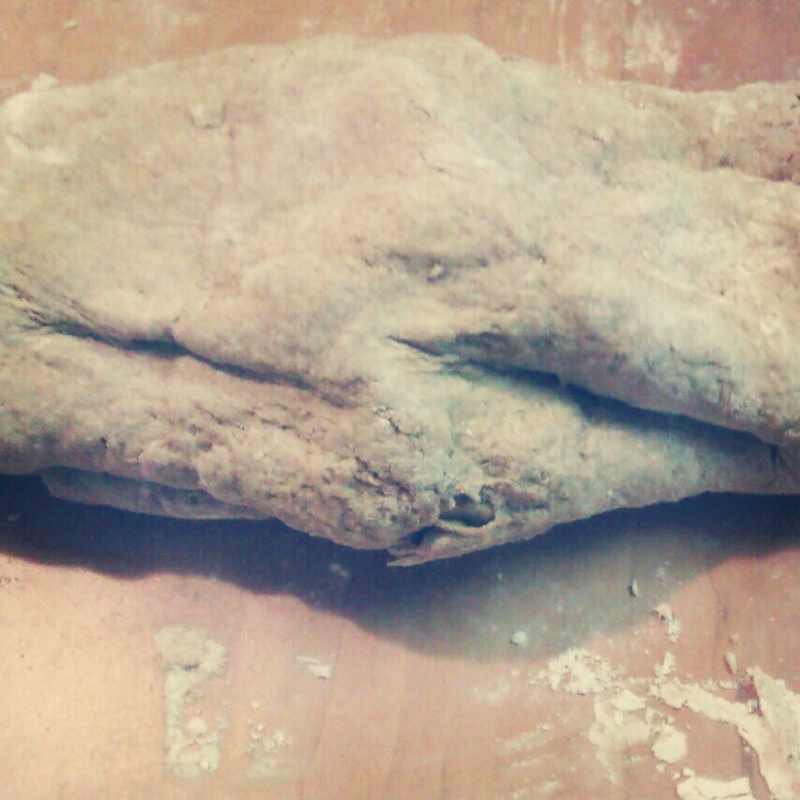 This comes out more like rustic bread. SO I did and it turned out perfect. Who can resist a fresh warm piece of bread with some butter? This amount will give you 2 loaves of bread. I hope you enjoy it. 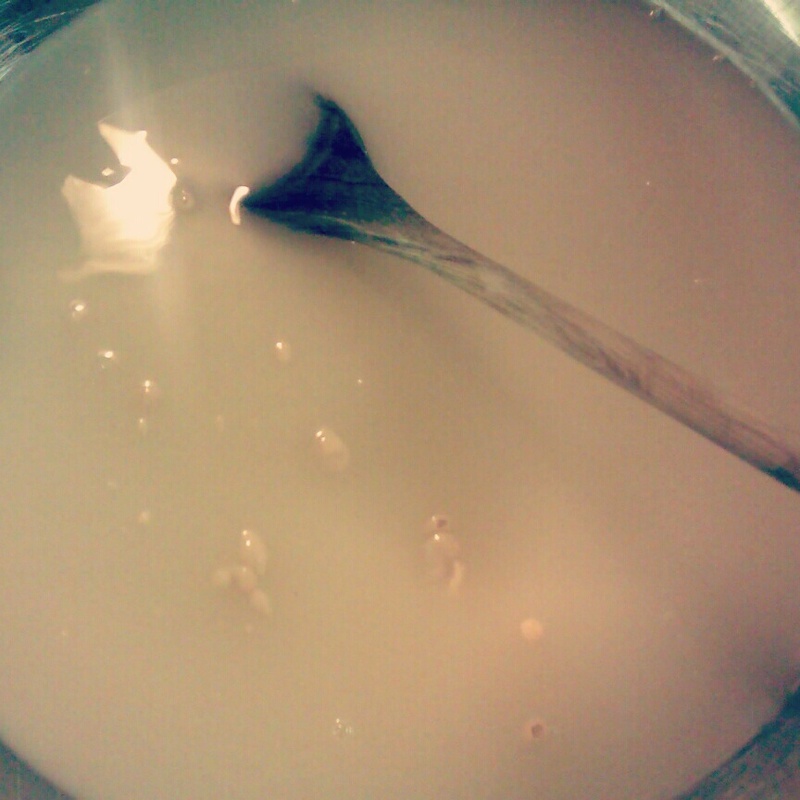 Mix warm water with the yeast and sweetener and make sure it bubbles (you will notice little bubbles). Will take a minute or so. Stir in 5 cups of flour until there are no lumps. Let stand for 30 to 35 minutes. 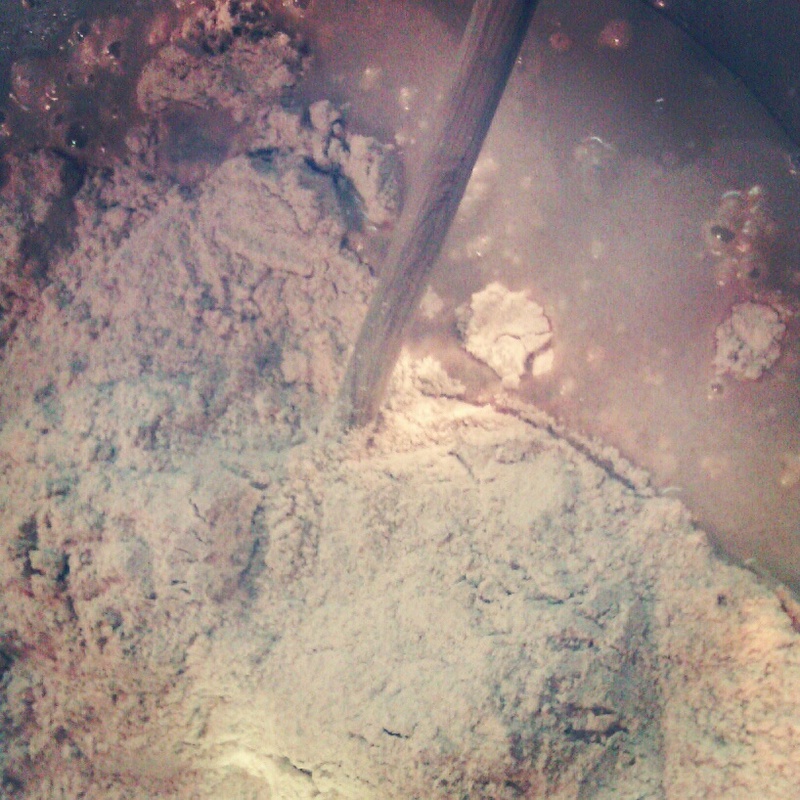 afterwards stir in the salt and oil and gradually add another 3 cups of flour. 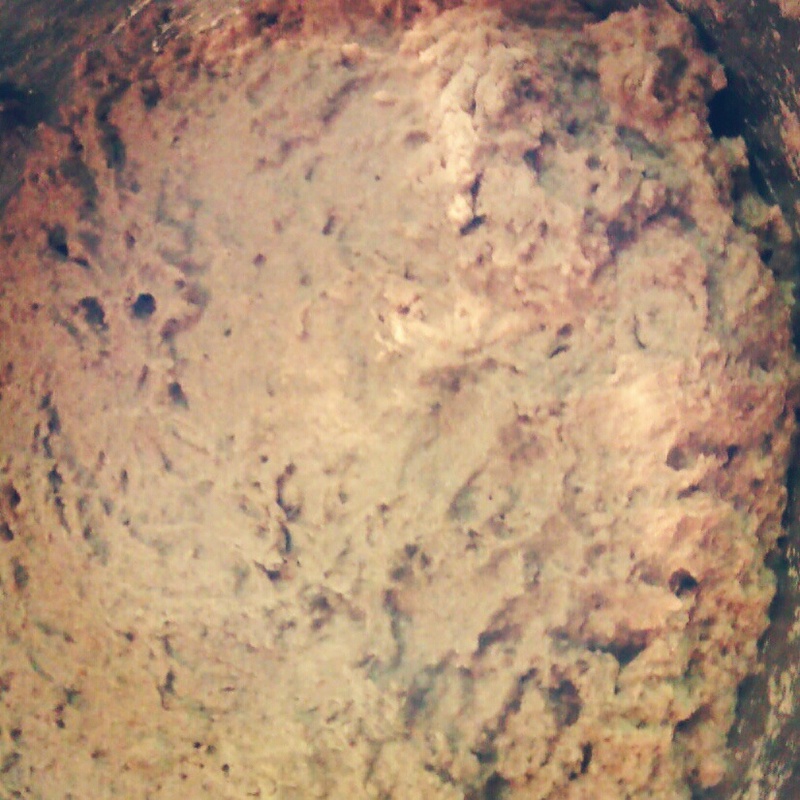 When the dough develops into a stiff ball, then we are ready to knead. The plan is to slightly stretch the dough against the counter as the section furthest away from you is pressed back into the center of the ball. The dough should no longer stick to the counter after a few kneads. This will take between 10 to 15 minutes. Patience with your dough is important. Remember don’t overknead and tear the dough because this will cause it not to rise well. Place about 2 Tablespoons of Olive Oil in the mixing bowl, put the dough in the oil and just do a quick turn and tuck , then cover. After the dough has doubled in size, you will punch it down. (Fun part). If you are using bread loaf pans this is the time to slightly oil them. 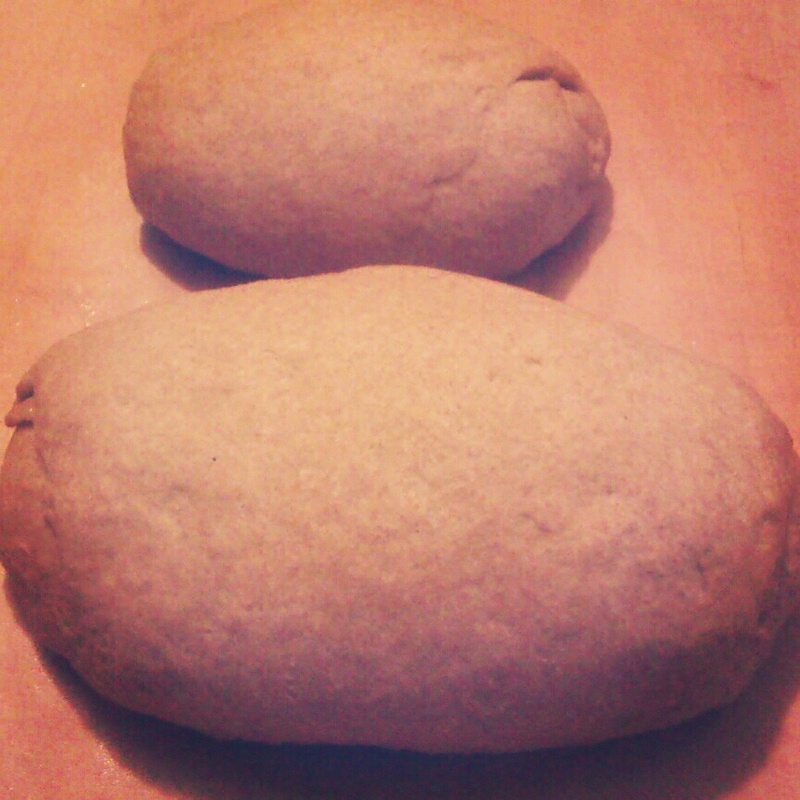 Cut the dough into two pieces. When done take out of loaf pans and put aside. Your bread will keep for several days at room temperature, a week to 10 days in the fridge or a couple of months in the freezer. Nothing beats the smell of fresh bread right out of the oven! Don’t dismiss the bread machine. 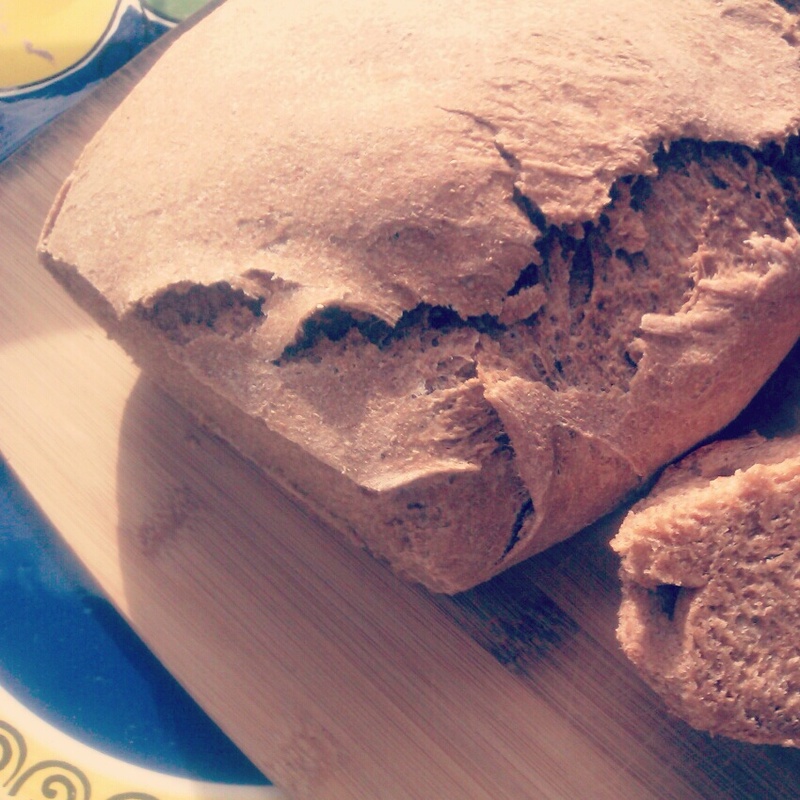 As I said in a recent post of mine, it cuts your time to an insignificant amount – in my case just 11 minutes or less a week to make the four small ‘loaves’ (1lb 1oz of flour) of wholemeal bread we need each week. However, I found the bread is much better if baked in the oven so I just tip it out of the machine when the first mixing/rising phase is done, lightly knead and divide into four rounds on a baking sheet, leave in a warm place for 1/2 hr then into the oven for 15 mins or so. Actual involvement: 5 mins to load the machine, 5 mins for the hand knead, then a minute of attention at the end to check whether done (rap on the bottom for a hollow sound) and if necessary back in the oven for a minute.